Vir2 Instruments’ VI.ONE, which I produced, has just begun shipping. The concept behind this Kontakt Player-powered instrument is to have a software equivalent to the hardware workstations so familiar to keyboard players. As a keyboard player myself, I’ve relied for years on the Roland JV/XP series, Korg Trinity/Triton, Yamaha Motif, and so on; they are all hardware synths that provide a large palette of sounds across the full spectrum of instruments: keyboards, drums, guitars, synths, orchestral instruments, ethnic instruments, and so on. VI.ONE provides exactly that: more than two thousand patches organized into all those folders. It’s been a huge hit, with glowing reviews from Future Music, Computer Music, Sound on Sound, Keyboard Magazine, and AudioMIDI. It’s become a go-to instrument for me too, since it has so much “bread and butter” sounds that can form the basis of a production. Consider this a major upgrade to your studio. 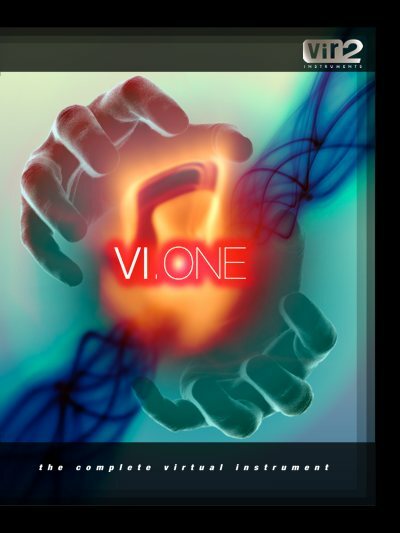 Vir2 Instruments’ VI.ONE is a massive multi-disc sample library encompassing over two thousand instruments, kits, and other sound effects, and is designed for maximum usability to musicians across a wide span of genres. The library is packed to the brim with drums (including hundreds of different kits), drum loops, basses (including acoustic, upright, electric, and synth), world and ethnic instruments (organized by geographic region), sound effects, guitars (acoustic and electric), keyboards, a full collection of orchestral instruments, screaming B3 organs, world-class acoustic pianos, prepared pianos, electric/synth pianos, pop horns and brass, a bank of vintage synths, and cutting-edge synth patches. Across every musical style in the world, VI.ONE is a premium, versatile, and gigantic sound palette.